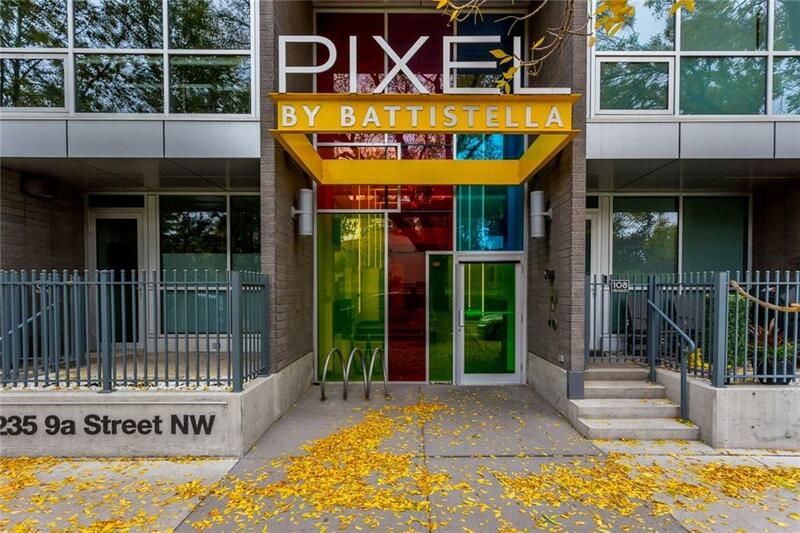 Beautiful apartment condo located in the heart of Kensington in The Pixel. Contemporary 1 bedroom plus a den area, 4-piece bathroom, in suite laundry, storage room, titled parking and storage locker. In show home condition. 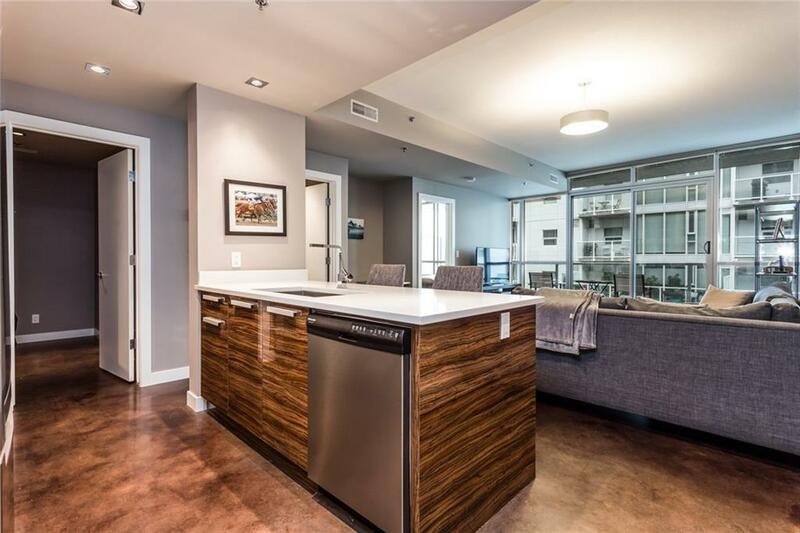 Very bright and open plan with floor to ceiling windows, west facing unit with a large deck. 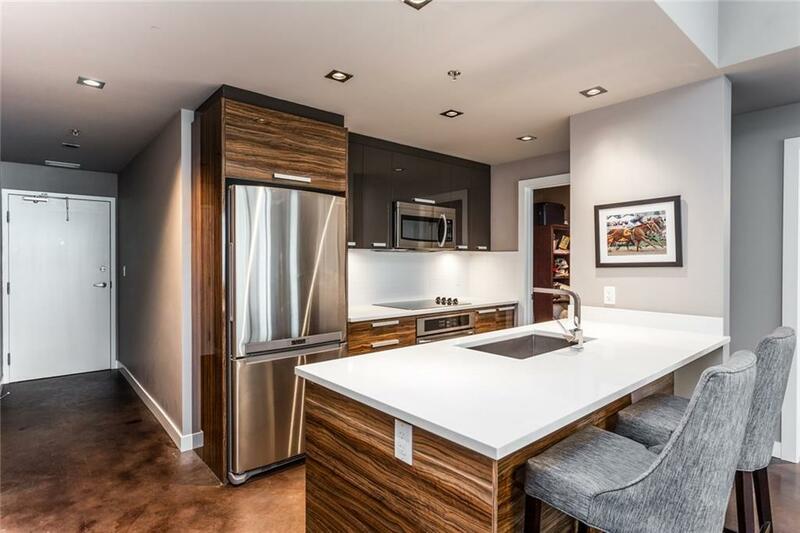 Gourmet kitchen with centre island with quartz countertops, tiled backsplash, stainless-steel appliances open to large great room with built in desk/den area, large bedroom, 4-piece bathroom and large storage room. Concrete floors and upgraded window coverings. Roof top patio. Pride of ownership shown throughout. Ideal for professional or investor. 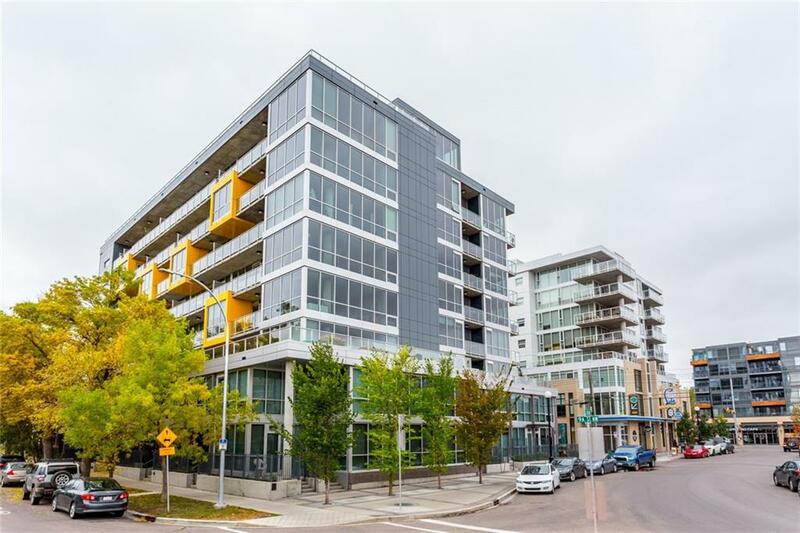 Walking distance to restaurants, shopping, LRT, Bow River and downtown. Exceptional value!